Bryan Hanlon is widely regarded as one of the UK’s most diverse artists in his genre, both in subject matter and medium, from paintings in egg tempera through to oil and sculptures in bronze. Subject matter varies from wildlife to portraits, including landscape and still life. His constant movement from one medium to another is a source of continued inspiration. Having enjoyed many successful exhibitions, including Nature in Art, Gloucester, the prestigious ‘Birds in Art’ exhibition in Winsconsin, America, the International Animal Art Fair, France, The Rainforest Exhibition, Barbican, London and the Whaletail Exhibition, Nairobi, Kenya, Bryan was commissioned by Jersey Zoo to paint a picture to commemorate their 25th Anniversary, featuring Gerald Durrell along with 25 endangered species. Artistic forays have taken him on journeys throughout Europe and America and into Africa, which was the inspiration for his magnificent book ‘Birds and Beasts Africa’ published by Swann Hill Press. In 2010 Bryan was awarded Wiltshire Artist of the year and in the same year was nominated as Marlborough Artist in Residence by the then Mayor of Marlborough, Nick Fogg. 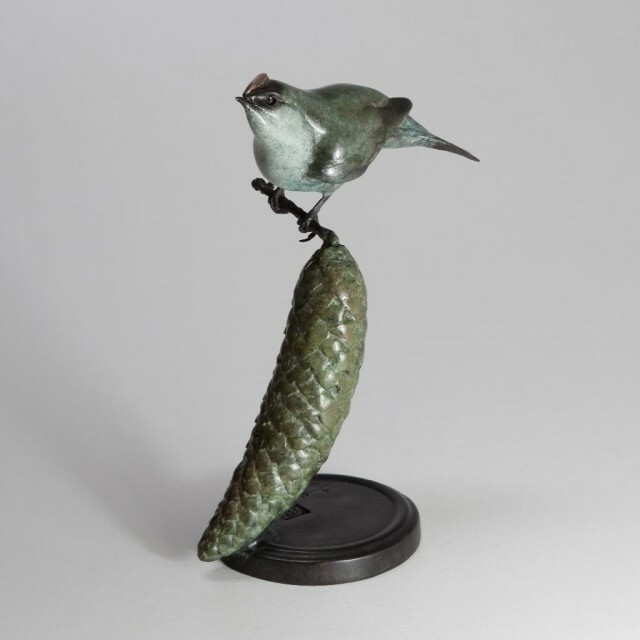 Bryan Hanlon work at the moment is mainly still life and sculpture, however, as he continues to draw inspiration from the natural world change is ever present.